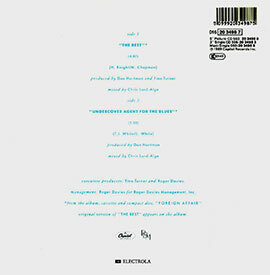 "The Best" is a single from Tina Turner's album "Foreign Affair". "The Best" is a song written by Mike Chapman and Holly Knight, originally recorded by Bonnie Tyler on her 1988 release Hide Your Heart. Knight and Chapman wrote this song for Paul Young of "Every Time You Go Away" fame, but he passed on it. Holly Knight told Songfacts: "'Simply the Best' is one of those rare gems that's a positive song, and it's not cheesy. But the hard part is to write something in a positive mode that really is sincere — that's a tall order." The song was later covered by Tina Turner, and released as a highly successful single in 1989. It was included on her hit album "Foreign Affair". The saxophone solo on Turner's version is played by Edgar Winter. 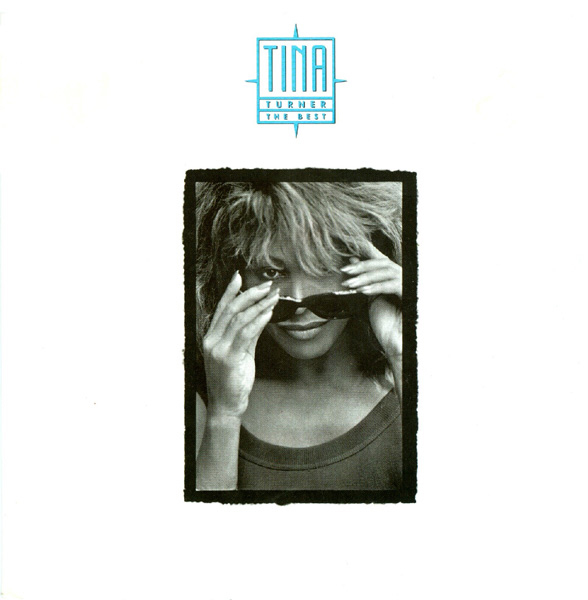 "The Best" was the first song Tina ever produced. She felt the song through her vains and felt free like a horse. Tina was convinced that this song didn’t have to be about two people, but that it also could be a thing like a car or an animal. That’s why The Queen herself came up with the idea to ride a horse in the official video. The Foreign Affair Farewell Tour 1990 was a huge success. At first Tina opened the show with "The Best", and entranced the stage through a huge stairs, but for many reasons she decided to change the setlist and "The Best" moved to later on in the show. "The" Best has never left the setlist after 1990. In 1991 Tina released a compilation album called "Simply The Best" which was named after her hit song "The Best". In 1992 Turner recorded "(Simply) The Best", a duet version of the song with Australian rock singer Jimmy Barnes, to promote that year's New South Wales Rugby League season in Australia. The single subsequently appeared on a limited edition bonus disc as part of the Australian release of her compilation album "Simply The Best". 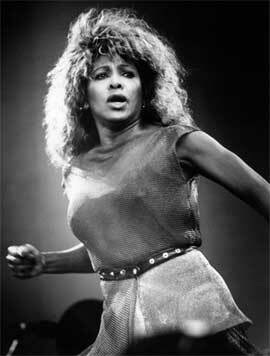 Tina Turner performed "Simply the Best" at the 1993 New South Wales Rugby League's Grand Final. Tina Turner's "Simply the Best" became the theme song of three athletes, including boxer Chris Eubank, race car driver Ayrton Senna, and tennis player Martina Navratilova. "The Best" is played at the Ibrox Stadium in Glasgow, Scotland when the players of the Rangers Football Club and the visiting team run on to the park. As a result of a campaign by the Rangers fans to get "The Best" to #1 in the UK singles Charts coinciding with the team taking the Scottish Premier League title, the song returned to the Top 10 in April 2010. There are many official and unofficial remixes of "The Best". Here are the most important ones listed. "The Best" has been released in multiple forms. 7" single, 12" single, cassette single, 3" cd single 5" cd single. The B-side is "Undercover Agent For The Blues". This song was included on the album "Foreign Affair" and was written by Tony Joe White. We can conclude that "The Best" was a huge success for Tina. It became a huge anthem worldwide and will live on forever. "Undercover Agent For The Blues"